Radio Maria Tanzania invites the suitable Candidates to apply for the following position. Purpose of the position Manage and supervise the organizational area of competence. A key figure of the association (middle management) and often the link between top-level management and operations staff (technical, administrative, promotion and fundraising etc.). Broad and in-depth knowledge of the criteria of business organization acquired from University studies in business management or similar. Excellent planning, development and management skills, applying the most up-to- date methods with the aid of the most up-to-date IT systems. Characteristics, skills and abilities Punctual, dynamic, flexible and precise. A person who interfaces easily with management. Skilled in setting orders consistent with development needs. Strong communication and planning, development, delegation and management skills. Cautious with dissemination of information and internal and external communications. Punctual in implementing tasks established with the management and in involving the working team. General skills Three distinctive features of a leader (BE – DO – ACT) mean that the manager should at all times be capable, in any situation, of finding the best solution for all types of difficulties and obstacles. Specific skills Be a good communicator and a good listener. Must ensure clear communication with everyone and good management of services so that the association is able to increase its value and consensus. Know how to create a working team. Be a good negotiator: have an analytical approach to finding alternative solution to any difficulties. Know how to coordinate the working team: manage and share information by monitoring the progress of activities. Be able to share and make the most of the different experiences available in the group. Apply qualitative analysis for the management of services in an efficient manner. Operational activities Know how to organize the means and personnel at his/her disposal in a consistent and effective manner. Plan each activity so that everyone can carry out his/her assignments success- fully. Develop strategic guidelines and operational objectives, follow the progress of the activities and periodically inform both the management and the collaborators involved about the results. Know how to assess the annual operational budget, taking into account the real needs and verifying the actual progress. Have a direct and constant relationship with the suppliers of services for which he/she is responsible. Manage relationships with the technical operational staff and meet with them periodically for scheduling and evaluating the offered services. Purpose of the position Manages his/her department, the purpose of which is the strategic and operational planning of activities to ensure the financial sustainability of the association. Is part of middle management and responsible for the activities of the Promoter. Qualifications in the field of fundraising and/or business studies, possibly with University degree or Diploma and work experience in international associations. Knowledge of the main criteria for marketing and communications in the non-profit sector, and knowledge of data processing systems. Knowledge of the country’s language and at least one other foreign language (English, French or Spanish). Ability to work in a team and manage the activities of collaborators and volunteers. Establish a system of thanking and monitoring the operational results. General skills Know how to interpret the reality in which the Organization operates, evaluating the potential of and obstacles to drawing up strategies for fundraising and promotion in the country that aim to increasing the number of listeners and donors. Know how to evaluate the work of collaborators and volunteers, optimizing the available resources and foreseeing an increase of the same in order to support the entire association. Specific skills Be an excellent communicator and a good listener. In this role where trust is vital he/she must ensure clear communication with everyone, so that the association grows in value and consensus. Know how to create a working group. Know how to organize his/her collaborators so that information is shared, and monitor the progress of activities. Know how to observe and enforce the agenda and deadlines. Be able to incorporate and make the most of the different experience available in the group. Know and apply qualitative analysis for the management of services in an efficient manner. Be able to perceive what happens outside the association (especially on a national level) in real time, so as to identify both the opportunities to pursue and the weaknesses to compensate. Operational activities Checks the means of contact with the donor and renders them efficient by planning appropriate updates. Optimizes campaigns and the annual fundraising plan, providing the Board of Directors (or ExCom) with the results of the communications strategy, and taking the appropriate actions. Knows how to organize tools and personnel at his/her disposal in a consistent and effective manner. Plans each activity in such a way that everyone can carry out their assignments successfully. Develops strategic policies and defines operational objectives, informing in a timely manner the management and collaborators of the association involved. Knows how to draw up the annual operations budget, checking progress periodically. Has a direct and constant relationship with the suppliers of the services for which he/she is responsible. Manage relationships with the collaborators and meet with them periodically for scheduling, and evaluation of the service offered. Knows how to manage and maintain relationships with external partners (public, private, institutional, religious….) with naturalness and the utmost politeness. Purpose of the position Person responsible for coordination of the suitably selected and trained volunteers in the country who help to raise awareness, increase the number of listeners and support the radio. The activities of the Promoter include technical, editorial and promotional duties. Main knowledge Have a thorough knowledge of the Radio Maria Project in all its operational aspects. Ability to adopt methods of communication designed to positively engage the audience (personal ability or acquired at university, on courses or at specialist seminars); good organizational skills; perfect knowledge of the country’s language and possibly another language (French, English or Spanish); ability to coordinate groups of people of different cultures and age, and with different approaches. – Evaluation of work – recognition of the contribution of the volunteers – verification. General skills Ability to organize. Know how to train and stimulate cohesive working groups to reach the desired goal. Operational activities Implements strategies with specific actions in the country. Represents the association at meetings with the volunteers. 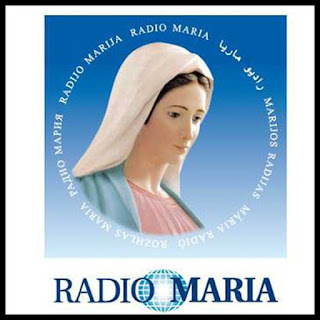 Set up groups of volunteers to interface with contacts in the country (priests and various leaders) in order to be able to organize meetings and raise awareness of Radio Maria activities. Organizes the necessary logistics for events and promotional campaigns in the country. Makes sure that communications materials are efficiently and suitably distributed in the country, providing the necessary instructions. Purpose of the position Supporting the Finance and Administration Office on issues relating to financial operations and Management. Qualifications in the field of finance, possibly with University degree or Diploma and work experience as an accountant. Knowledge of the country’s language and at least one other foreign language (English, French or Spanish). Characteristics and skills Detail-oriented, efficient and organized professional with extensive experience in accounting systems. Operational activities Managed vendor accounts, generating weekly on demand cheques. Prepared company accounts for audit. Administered online and mobile donation functions.